PAUL RUMMERY ON 01424 428068. WHO WILL COLLECT FROM YOUR HOME IF PREFERED. ALL MONEY FROM SALES GO TO PULSE DANCE STUDIOS AND THE BOHEMIA WALLED GARDEN ASSOCIATION. This was another great success so a big thank you to everyone who came along and spent some money. We raised about £700 which was in turn donated to The Bohemia Walled Garden and Pulse Dance Studios. It feels really good to be helping two such worthy causes. Both the groups of people who run these organisations give selflessly to others. They work outside of the rat race and bring quality happiness to local people. They also both give us loads of help. Pulse Dance Studios store thousands of books for us and provide the space and time for us. They also slave away moving the books from storage to the hall. I cannot thank them enough. The Walled Garden provided us with such a group of happy helpers on the day. They work with us tirelessly before and after. So many thanks to them also. I mustn’t forget John Humphries and the Bohemia Village Voice. He collects books for us all year – allows us free advertising and spreads the word. John is yet another local who gives his time and skills selflessly. I must admit that what I get out of it is sort of selfish. One – I love books and I love talking about them to other bookies. Two – it gives me a chance to play my music to a crowd. Why does that give me pleasure? Well – I am passionate about music of all kinds and it is always a pleasure when I get an equal response from some of the people wandering around. Good books – good company – good music. Can we ask for more? 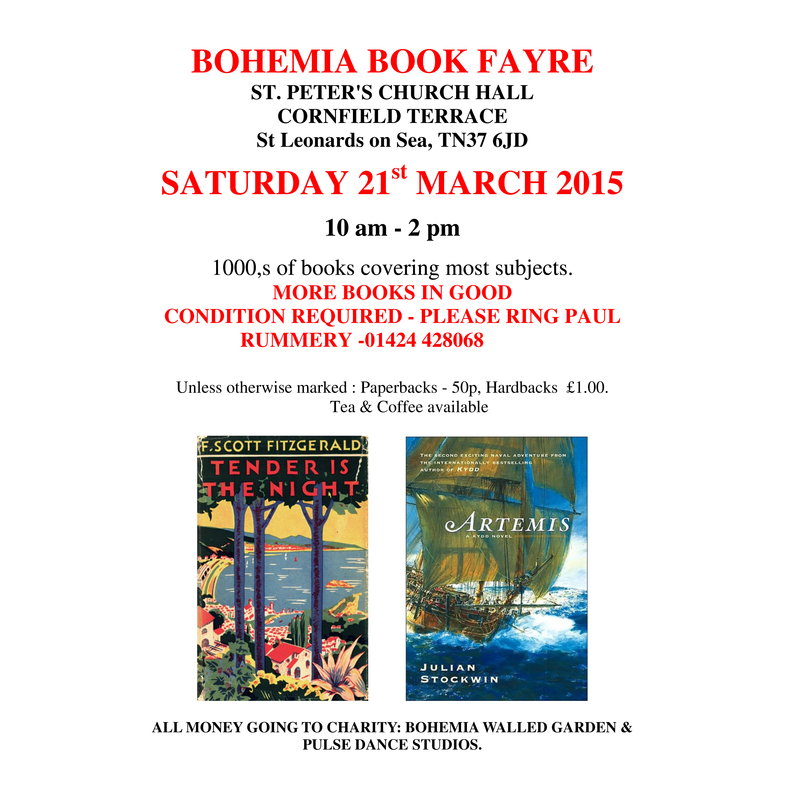 Its not just a book sale – its an event.